Rooster Weather Vane tabletop replica. 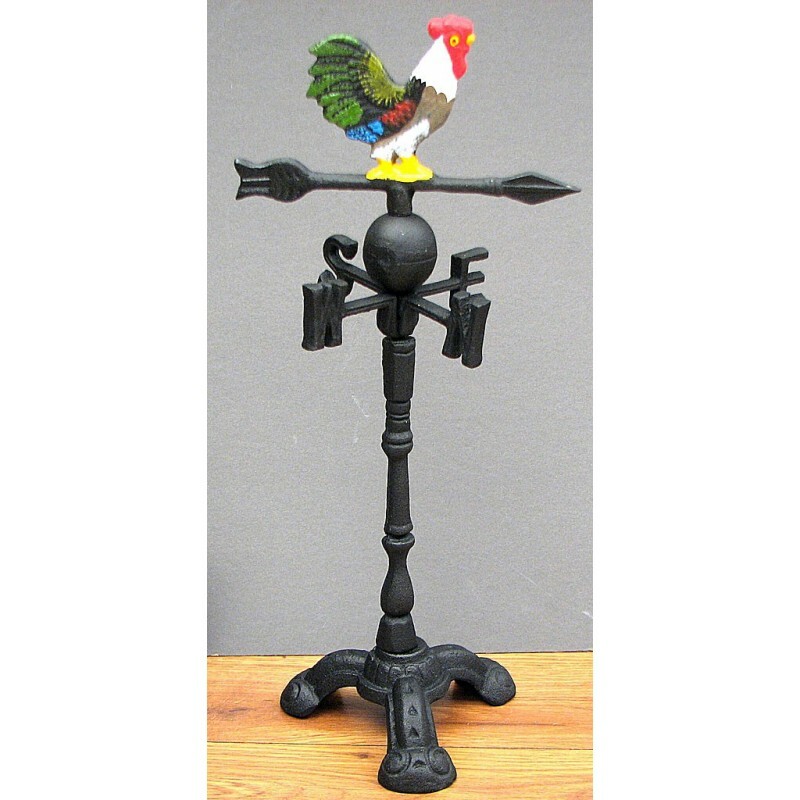 Cast iron rooster weather vane is just for decoration. The top will turn. This is not a item that willspin with the wind direction. Measures 6.25"W x 14.25"H.